We build Porch Enclosure Systems to protect your outdoor living spaces from off-season colder temperatures, intense sun, pests, pollen, rain, snow and even dust. Whenever the weather turns quickly convert your porch or patio to the changing environment by rolling up and down our high tech porch curtains. PES is for homeowners who want to keep their screened porch or patio, without the need to consider bulky, expensive 3 season rooms and sunrooms that chip away at your outdoor space. Instead, our clients choose our low profile enclosures that disappear from view when rolled up. Maryland Sunrooms has been in business for over 18 years selling and installing the nationwide Four Season Sunrooms product line. Completing thousands of rooms over the years, we build Four Season and Three Season enclosures, glass conservatories, hybrid rooms, green houses and the list goes on! We strive for excellent customer service, pride ourselves with our Lifetime Warranties on product, glass and labor and have been awarded by the National Sunroom Association for our completed work on multiple projects spanning multiple years. We encourage you to research our company and read all the wonderful things our customers have to say about us...We like to say, the more you check us out, the better we look. We look forward to visiting you for a Design Consultation soon. At Maryland Sunrooms, we build lifestyles...one room at a time. 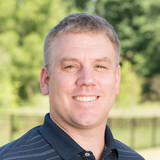 Hello, I am the owner of Pro Deck Installers, Inc., a licensed, bonded and insured professional construction company that performs exterior home improvement projects with an emphasis on deck building. Additional services include: front porches, screened porches, patios, pergolas, fences, retaining walls, and gazebos. Pro Deck Installers, Inc. operates with the sincere intention of standing tall in the contracting industry as a leader in providing what we promise. We strive to deliver quality workmanship with out cutting corners or compromising our integrity. We value our clients and aim to be able to use each one as a future reference and a source upon which the foundation of our business may be built. This approach has proven to be a key principle in allowing us to remain successful in the contracting industry for nearly 18 years. Our values today are the same as those established in 1990. The goal has always been quality over quantity. We have never endorsed a get rich quick attitude; instead our policy is to do it right the first time. The decisions made regarding each project represent the same sets of decisions that would be made if the project were being completed at my own home. We aim to build the same value into our company as we do in our projects. Alonso Construction Services is a full-service construction company serving DC, Maryland, and Virginia. Delivering a variety of services to clients in the commercial and residential construction industry, Alonso Construction Services, LLC performs new construction, renovation, and supporting services. AVEC Construction, Inc. is a family owned contractor that specializes on residential home improvement and remodeling. We strive to be one of the leading and most innovative design and building companies in the northern Virginia area. We focus on custom projects to enhance outdoor living, such as decks, porches and patios. Since 2005, we have successfully operated in helping home owners make their backyard dreams a reality. Our teams work diligently to provide you with the best, newest, and improved materials, design trends, and expertise. We specialize in building and designing custom decks, screened porches, patios, and outside spaces. 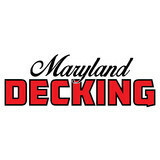 Sunscape Deck Builders have been building the finest custom decks in central Maryland for over 20 years. We specialize in all types of wood and composite decks & railings. We pay special attention to detail, complete jobs in a timely manner, while always respecting the customers property. ALL work completed by company owner, so quality is Top Notch. I am a family man, married in 1990. 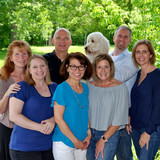 My wife and I have five wonderful children. My oldest sons help out on job sites. While my wife handles the desk work. The Quality of my craftsmanship shows on every deck I build. With over 20 years' experience in Cedar, Redwood, Pine and every composite material imaginable, I provide my customers with the most solidly built, aesthetically pleasing decks available in the region. Diamond Decks installs custom decks, patios, sunrooms, and screened porches to create beautiful outdoor spaces. We enclose screened porches with PGT Eze-Breeze windows. We are an authorized Northern Virginia dealer for PGT. We have been enclosing porches since 1996. We are a family owned and operated fence and deck contractor company with a hometown attitude. We have a long history of satisfied and happy customers and would like for you to be one as well. Our continued growth has been realized, not only through our customer satisfaction, but also through the addition of better designs and quality products. We are customer driven and have your best intentions in mind. Our crews are courteous and dependable from whom we require excellent workmanship. We offer standard, as well as custom designs and use the finest products available for decks, fences, porches and porticos. From wood to composite, to vinyl, steel or aluminum, we have what you are looking for. Demanding new designs and environmentally compatible materials is a cornerstone of our commitment to providing fences, decks, screened porches and porticos that will appeal and last through the ages. So whether you're looking to install an aluminum fence, a chain link fance a metal fence a wooden fence or considering a composite deck vinyl deck or a wood deck or a porch or a portico, we can help you out. At HAL CO FENCE, we are there for you, from the design stage to the clean up. Why not find out why so many of your friends and neighbors are choosing HAL CO fence and deck contractor to enhance their outdoor living space. Let's have a wonderful experience together. DeckMaster is the one place for all your deck and patio needs. We are the only company that specializes in deck construction, repair and maintenance all in one place. This is important for workmanship warranty related issues. Also, DeckMaster is the founder of the revolutionary PressureLess Cleaning and Preservation System that restores your wood without the harmful effects of power washing. Because we have over 15 years experience in the profesional maintenance field and material/finish research, that gives us the edge and knowledge to build decks differently and in a maintenance friendly manner to reduce future repairs and costly maintenance mishaps. We will tell you with materials and finishes are the best in the industry to build. With DeckMaster you can rest assured that you will have a very professionally built or maintained deck for a very competitive price. We offer the longest service warranty in the industry. Custom Decks, Patios & Enclosures in Fredericksburg, Va. Decks, Patios & Outdoor Enclosures near Washington D.C.